A lawsuit by the NAACP says the Ohio law unfairly restricts early voting and same-day registration. The state holds a special election next Tuesday, in addition to regular balloting in November. Ohio reduced early voting by one week, and eliminated the so-called "golden week" period when voters were able to register then cast a ballot the same day. In Wisconsin, a federal judge in April tossed out the state's voter identification law, after opponents claimed it had a discriminatory effect of many Hispanic and African-American voters. State officials said Act 23 was minimally burdensome, and necessary to stop voter fraud and promote voter confidence. Civil rights groups claimed about 300,000 voters in Wisconsin lacked the necessary identification to cast a ballot. There was no immediate reaction from officials in Wisconsin or Ohio to Tuesday's legal action by the federal government. The Justice Department's latest involvement follows pending federal lawsuits it had filed in Texas and North Carolina over voting laws. The aggressive legal action is part of the administration's effort to blunt the impact of a 2013 Supreme Court ruling that struck down a key part of the landmark Voting Rights Act, weakening federal oversight of states and counties with a past history of discrimination at the polls. Holder has since strongly and repeatedly criticized the high court's ruling, urging Congress to pass new legislation to restore the Justice Department's oversight powers. In a September 2013 speech, Holder called the court's action "a deeply flawed decision that effectively invalidated a cornerstone of American civil rights law." "The Obama administration is expanding its push to stop what it calls "restrictive state laws" over the ability of voters to cast ballots." HAHAHA! Nice quotation marks. 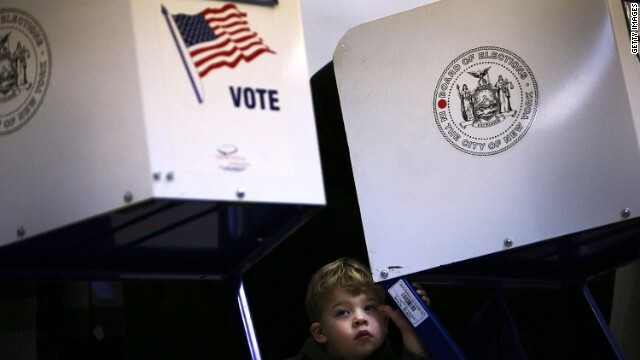 Is CNN really taking the position that this is just a "characterization" and that laws that require an ID but selectively prohibit IDs that are most likely to be owned by certain groups, or get rid of early voting, or reduce early voting, or get rid of Sunday voting, or reduce voting hours and polling locations, or prohibit polling stations from staying open late if there is a huge line and delays, etc., are not restrictive per se? "necessary to stop voter fraud "
Necessary to stop something that's not occurring? I see. How cute. Get ready for the whining and lying to start. They're going to complain about how Democrats are attacking them, when in reality Democrats are on the defensive from all of the court challenges and new laws that conservatives have brought forth in recent years. Grade School Civics- in a Democracy, voting by ALL those eligible, should be made as easy as possible. Repub. Voting Philosophy- only those who vote like US should be allowed to vote. The law especially discriminates against dead people not being able to vote and people voting multiple time. I see no reason why I can't vote for my neighbor if he's busy or needs to get some "stuff" I know he'll vote Democrat so I'll vote for him. I am sure the haters will blame Obama for the teaklans keeping Americans from voting too. 2014 and ppl cant get up and go get a id ? How do you even live without id and collect gov benefits ? Or is it just the leftist rebels tring to cancel out a legal vote with a illegal vote ? Take your pick . Voting is a privilege and a right . Marty. Your absurd comment is exactly why the claims to "reduce voter fraud " are false. The boogie man of " voter fraud" does not really influence the voices of the majority, BUT preventing citizens from voting does impact the voice of the US citizenry.